Accompanied by a motorized tree, the artist combs downtown Toronto for fragments of natural material like leaves and branches found lying on the sidewalks or streets. These fragments are tagged with a sound chip circuit, allowing the voice of the fragment to be heard as it is transported back to the exhibition space. Once within the built environment, the fragments will be reconfigured and integrated into the office space, engaging in a dialogue with the architectural components and visitors to the space. The collected fragments create a chaotic and uncontrolled chorus of overlapping voices. Long Haul re-imagines a relationship to nature within the context of the built environment. The project examines an architecture that attempts to supply the needs of its inhabitants and draws a comparison to the natural world’s effort to survive within the city. Rita McKeough is a Halifax-based audio, media installation and performance artist. She has exhibited extensively in Canada for nearly thirty years and has presented her work internationally. She has taught at art institutions throughout Canada and has been a drummer in a number of independent bands. McKeough has maintained a commitment to artist-run centres, community-based art and music based-initiatives. She insists that she has been fortunate to have the support and assistance of her friends and community to produce her work. For Long Haul, she will be assisted by Robyn Moody. 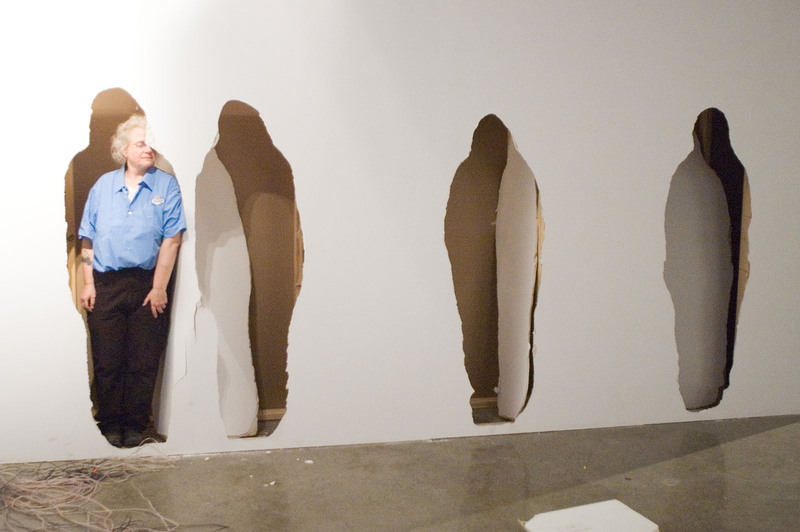 In the opening performance of her Take it to the Teeth installation in 1993, Rita McKeough chewed up an entire gallery wall, tearing off pieces, tasting them, and spitting them out. McKeough attended the University of Calgary for her BFA, and received her MFA at NSCAD in 1979. Through experiences working at a radio station and as a drummer in a band, she began fusing elements of sound into her sculptures. McKeough has taught at ten art schools, including the University of Manitoba and the University of California, and she has been teaching media arts courses at NSCAD since 1999. She has been actively exhibiting and performing across Canada since the late 1970s.